Three U.S. Army soldiers, including one from Southern California, have been identified after being killed Saturday in an attack in Afghanistan's Nangarhar Province. Sgt. 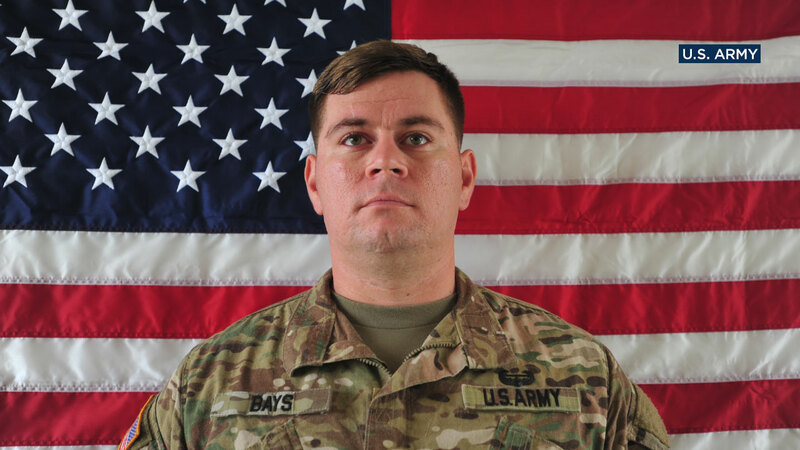 William M. Bays, 29, of Barstow; Sgt. Eric M. Houck, 25, of Baltimore; and Cpl. Dillon C. Baldridge, 22, of Youngsville, N.C., sustained fatal gunshot wounds in Afghanistan's Peka Valley, according to the Defense Department. Sgt. Eric M. Houck, 25, of Baltimore; and Cpl. Dillon C. Baldridge, 22, of Youngsville, N.C., were killed in Afghanistan's Peka Valley, according to the Defense Department. According to the Army, all three were members of the 3rd Brigade Combat Team "Rakkasans" deployed in the fall of 2016 in support of Operation Freedom's Sentinel. The three fallen soldiers, members of the 101st Airborne Division, died after the incident described by U.S. officials as an insider attack perpetrated by an Afghan army soldier. Bays, an infantryman in the 101st Airborne Division, was stationed at Fort Campbell, Ky. He was assigned as a squad leader. The 29 year old joined the Army in August 2009 and arrived at Fort Campbell in August 2014. His awards and decorations include the Army Commendation Medal, Army Achievement Medal and multiple others, according to the Army. Bays posthumously was awarded the Bronze Star Medal, Purple Heart, Combat Infantry Badge and Army Commendation Medal. Baldridge was an infantryman who'd been assigned as squad leader. He was posthumously promoted to sergeant and awarded a Bronze Star, Purple Heart, Combat Infantry Badge and Army Commendation Medal. Houck was a fire support sergeant stationed at Fort Campbell. He was awarded a Purple Heart, Combat Action Badge and Army Commendation Medal after his death.